Current GST return filing requires that every month, once GSTR-1 is filed to report Sales, one must file GSTR-3B to report the ITC and make necessary GST Payment. Also if a refund is required to be claimed the same can be done by filing relevant refund related forms. What are payments to be made under GST? How to calculate the GST payment to be made? Who should make the payment? What is the penalty for non-payment or delayed payment? When can the refund be claimed? How to calculate GST refund? What is the time limit for claiming the refund? 1. What are payments to be made under GST? A government agency gives a road laying contract to a builder. The contract value is Rs 10 lakh. When the government agency makes payment to the builder TDS @ 1% (which amounts to Rs 10,000) will be deducted and balance amount will be paid. Tax Collected at Source (TCS) – TCS is mainly for e-commerce aggregators. It means that any dealer selling through e-commerce will receive payment after deduction of TCS @ 2%. This provision is currently relaxed and will not be applicable to notified by the government. 2. How to calculate the GST payment to be made? Usually, the Input Tax Credit should be reduced from Outward Tax Liability to calculate the total GST payment to be made. TDS/TCS will be reduced from the total GST to arrive at the net payable figure. Interest & late fees (if any) will be added to arrive at the final amount. Also, ITC cannot be claimed on interest and late fees. Both Interest and late fees are required to be paid in cash. A regular dealer is liable to pay GST on the outward supplies made and can also claim Input Tax Credit (ITC) on the purchases made by him. The GST payable by a regular dealer is the difference between the outward tax liability and the ITC. The GST payment for a composition dealer is comparatively simpler. A dealer who has opted for composition scheme has to pay a fixed percentage of GST on the total outward supplies made. GST is to be paid based on the type of business of a composition dealer. 3. Who should make the payment? A Registered dealer is required to make GST payment if GST liability exists. Registered dealer required to pay tax under Reverse Charge Mechanism(RCM). 4. When should GST payment be made? GST payment is to be made when the GSTR 3 is filed i.e by 20th of the next month. 5. What are the electronic ledgers? These ledgers are maintained on the electronically on GST Portal. 6. How to make GST payment? The credit of ITC can be taken by dealers for GST payment. The credit can be taken only for payment of Tax. Interest, penalty and late fees cannot be paid by utilizing ITC. GST payment can be made online or offline. The challan has to be generated on GST Portal for both online and offline GST payment. 7. What is the penalty for non-payment or delayed payment? If GST is short paid, unpaid or paid late interest at a rate of 18% is required to be paid by the dealer. Also, a penalty to be paid. The penalty is higher of Rs. 10,000 or 10% of the tax short paid or unpaid. 1. What is GST refund? Usually when the GST paid is more than the GST liability a situation of claiming GST refund arises. Under GST the process of claiming a refund is standardized to avoid confusion. The process is online and time limits have also been set for the same. 2. When can the refund be claimed? Excess payment of tax is made due to mistake or omission. 3. How to calculate GST refund? Let’s take a simple case of excess tax payment made. Mr. B’s GST liability for the month of September is Rs 50000. But due to mistake, Mr. B made a GST payment of Rs 5 lakh. Now Mr. B has made an excess GST payment of Rs 4.5 lakh which can be claimed as a refund by him. The time limit for claiming the refund is 2 years from the date of payment. 4. What is the time limit for claiming the refund? The time limit for claiming a refund is 2 years from relevant date. The relevant date is different in every case. Also if refund is paid with delay an interest of 24% p.a. is payable by the government. 5. How to claim GST refund? The refund application has to be made in Form RFD 01 within 2 years from relevant date. The form should also be certified by a Chartered Accountant. 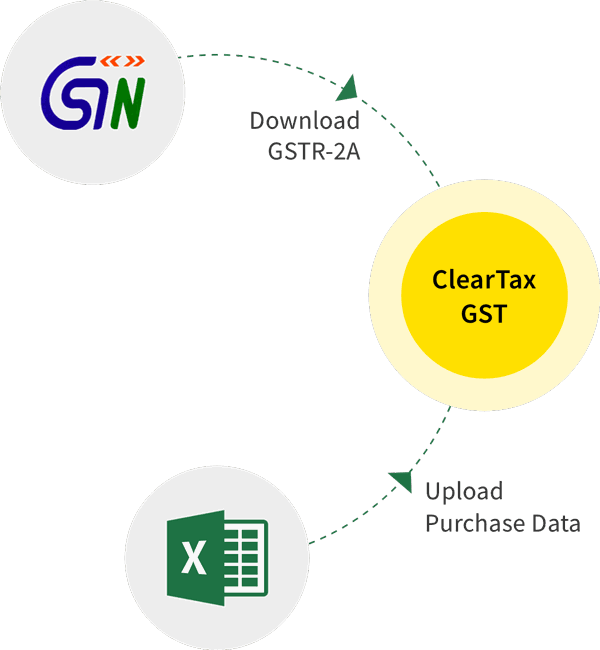 You can file your returns very easily using ClearTax GST Software. Have you paid your GST dues and now want to track GST payment status online? Click here for a step-by-step guide along with certain common GST payment failures. Payment voucher has to be issued by the receiver of goods and services at the time of making the payment to the supplier under reverse charge. refund voucher is to be issued in the case of withdrawal of service or sale of goods by the supplier or service provider under GST. Refund Forms to be submitted in case of rejection or adjustment of refund are clarified in this article. The exporter has to file GST RFD-11. The acknowledgment for the refund claimed appears in the form GST RFD-02. This article details the nuances of this acknowledgement section. Clarification on Statements to be Annexed with the application for refund There are 7 different statements depending on the reason for claiming the refund. Clarification on the format of Form GST RFD-01 is crucial as it covers the format of application for the refund under GST. Clarification on the format of Form GST PMT-06 and Form GST PMT-07 is provided in this article, last part of important payment forms under GST. Clarification on Format of Form GST PMT-02 is provided in this article. Form GST PMT-02 contains details of input tax credit available and utilized. Learn about the different forms for payment of dues under GST that have to be filed electronically through the GST common portal. Check out the forms GST RFD-01, RFD-02, RFD-03 to be filed for claiming of refund, acknowledgment, and examination under GST. Find out the important definitions like relevant date, assessment,refund and interest rates for refund under GST. Check out the exceptions also. Check out the conditions to be fulfilled by the applicant for being granted provisional refund and United Nations refund application forms. Check out the exemptions and refund claims under GST for Tax and ITC. Find out the situations for payment of refund to applicant. Check out four basic questions which can explain the basic application of TDS as provided under GST law. Know about TCS compliance for e-commerce sector. Find out about E-ledgers under GST which will help taxpayers know the status of input credit available, tax liability etc. 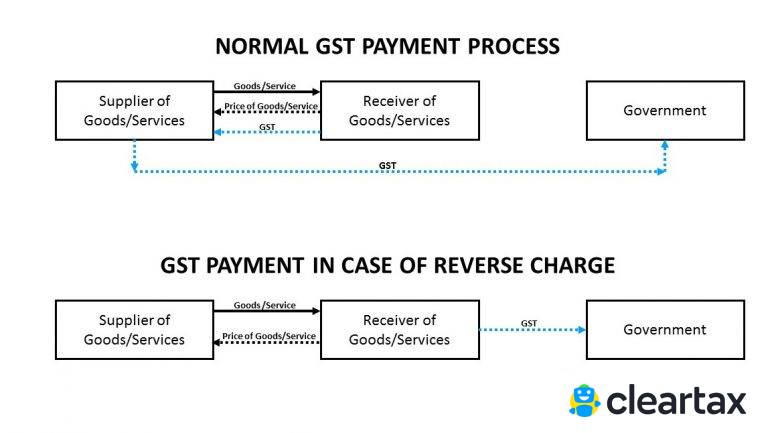 Check out the payment process under GST which is completely online process and how the Tax liability would be calculated under IGST, CGST, SGST separately. Know more about the GST Calculator in India with examples. Calculation of the tax charged on goods in the name of CGST, SGST & IGST. Find out what is Revenue neutral rate(RNR). Know about ratio for distribution of RNR, calculation of RNR and the tax structure. 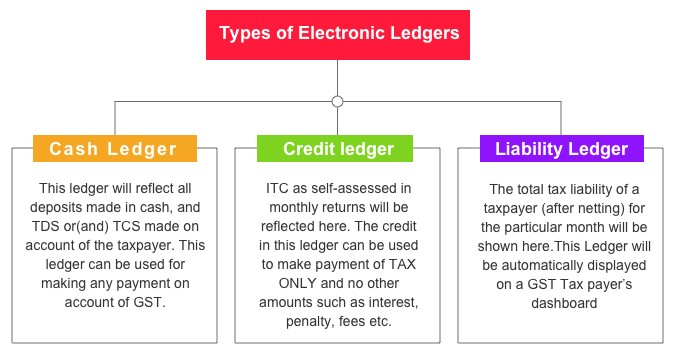 Find out why every registered taxable person under GST law is required to maintain electronic credit ledger and electronic cash ledger on GST common portal. This is a step by step guide on how to make GST Online Payment on the GST Portal. The tax payment can be done online only on the GST portal. TDS needs to be deducted at rate of 1% on value of supply where the supply value under a contract exceeds Rs. 5lakh under GST. The tax is to be deducted by specified persons/entities as notified by the government. Refund process under GST will be a much faster aand smoother process. It is expected that processing time for refund under GST might be 7 days.